In October 2017, the British Council and Cienciactiva – Concytec (National Council of Science, Technology and Innovation) announced the first call of the Newton-Paulet Fund ‘Researcher Links Travel Grants’ in Peru. This fund, supported by resources from the British Council and Fondecyt (National Fund for Scientific and Technological Development and Technological Innovation), is aimed at financing the development of research and research training in climate change, biodiversity and water, in cooperation with universities in the United Kingdom. In January 2018, I received the welcome news that I was one of the lucky recipients of this first call. 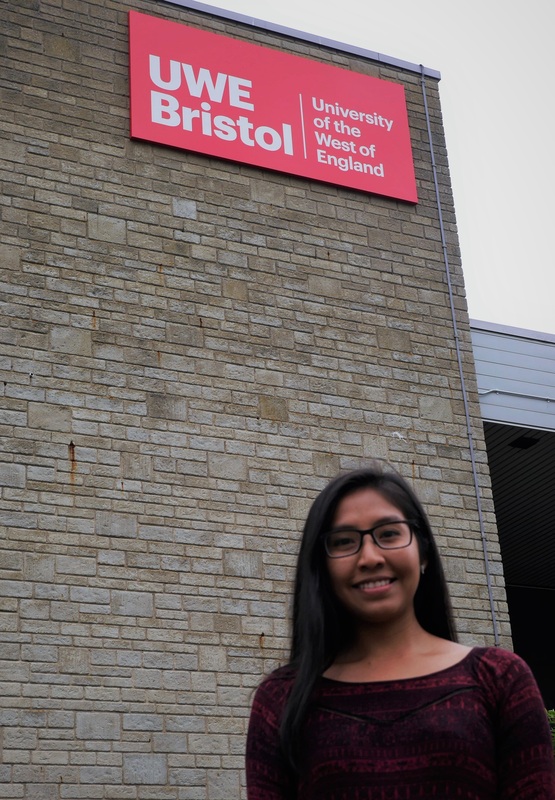 It meant I could do a six-week internship at the University of the West of England (UWE) in Bristol, with the project ‘Water Governance in mountainous regions: drivers and adaptive responses to global change’. The general goal of this project is to identify and analyze the adaptive responses for water governance in mountainous regions, considering the political, economic and environmental factors of global change. It will focus on the Cachi basin in the Ayacucho region of Peru. The reason for focusing on mountainous regions, such as Ayacucho, is that these landscapes tend to be considered as places of natural resources, but also of vulnerable populations, which in extreme situations are those that directly suffer the impacts of climate change. Here, I relate my academic experience at UWE and the preliminary findings of my research, which continues in collaboration with UWE researchers Chad Staddon, Mark Everard and Sarah Ward. The Agua-Andes Program, through the Center for Water Competencies (a research institution based in Peru), and UWE have been cooperating since 2013 (via the University of Arizona, which leads the Americas component of the International Water Security Network, IWSN). IWSN is a network, supported by the Lloyd’s Register Foundation, that brings together universities in the Americas, Africa and Europe for the development of research on water security in the aforementioned continents and in Asia. This network is led by Professor Chad Staddon at the Department of Geography and Environmental Management at UWE. This department, where I did my academic internship, develops high-quality research for the sustainable management of natural resources through its numerous groups and research projects on topics such as water security, air quality, and flood and drought risk management. The work of CCA and Agua-Andes is aimed at understanding the ecological infrastructure as an adaptation measure to ensure water sustainability in semi-arid regions of the Peruvian Andes. In this area, especially where groundwater is not a major source, the headwaters of the basin are key for water ecosystem services provision. During the dry periods, small producers and the populations in large cities suffer the effects of a lack of water, which can trigger conflicts. I decided to use the Cachi basin as a case study because it is an area that presents cases of water stress; a large part of its population is dedicated to primary tasks (mining and, especially, agriculture) but it also has urban growth and high rates of economic poverty. In recent years, the increase in climate variability has affected the most vulnerable populations of Peru, especially those who depend directly on natural resources to develop their livelihoods. This is the case in Ayacucho, where 50% of its population works in the agricultural sector and 65% of the land is cultivated dryland. In turn, its urban population has increased significantly, especially in Huamanga province – location of Ayacucho City, the capital of the region – after a long period of internal armed conflict that especially attacked Quechua-speaking citizens. Its population increase means there is a greater demand for food production and for water and sanitation services in cities. In this context, I identify two adaptive responses for water security. The first is the recovery of traditional water management practices, such as water harvesting, which consists of collecting and storing of rainwater for use during dry periods. The origin of these practices date from the pre-Hispanic period, but they were abandoned over time, especially during the civil war and the consequent displacement and migration shifts. At least ten years later, the local NGOs Asociación Bartolomé Aripaylla (ABA) and Centro de Desarrollo Agropecuario (CEDAP), and peasant communities, such as Quispillacta and Chuschi, began intensive work to recover the practices around harvesting water, as well as the cultural activities that were associated with them. These practices, such as the construction of qochas (small and temporal deposits of water located in the upper basin and formed by rustic dikes), were developed with the objective of increasing water retention, its collection and, by involving community work, recomposing the social structure through water governance at the local level. With effective results for water availability during dry seasons, the practices of harvesting water have been revalued and promoted through the Sierra Azul National Fund, implemented by the Peruvian government in peasant communities with the objective of promoting their water security and contributing to poverty reduction. At this point, it is worth mentioning that this experience has similarities with the case of Rajasthan, India, and the Mukhyamantri Jal Swavlamban Abhiyan Program (Water Self-Sufficiency Mission) that promotes local solutions for water recharge as part of a vision to achieve, in the long term, solutions for water sustainability in Rajasthan. This case has been developed extensively by Mark Everard, part of the IWSN team at UWE. 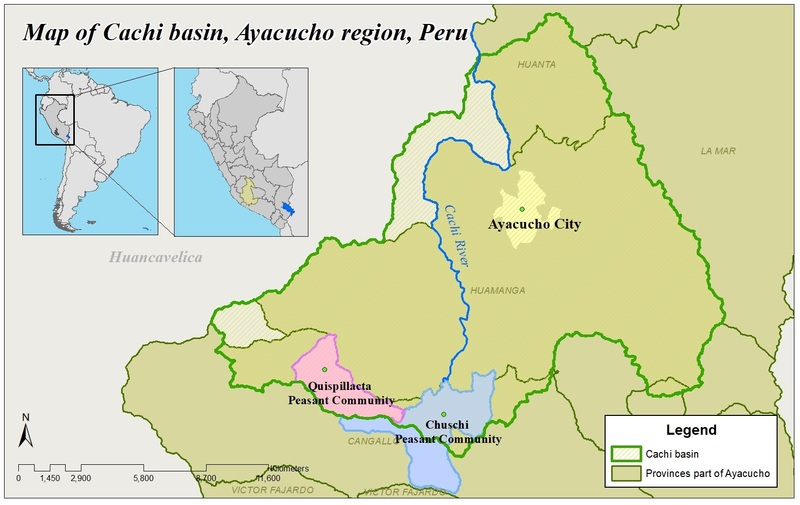 A second response at the basin level is the work-in-progress to establish a compensation mechanism for ecosystem services, with the purpose of financing conservation activities, integrating ecological infrastructure for water security and strengthening the participatory governance of water in the basin of the Cachi river. This internship gave me the opportunity to initiate research in collaboration with UWE researchers. The results presented were discussed with UWE researchers, including Chad Staddon, Mark Everard and Sarah Ward, whom I thank very much for their comments and suggestions. My academic experience was really pleasant (especially UWE’s library with 24-hour access, as it took a while to get used to the time change) and I had a great trip thanks to Wayne Powell, Sophia Cockell, Hannah Barnikel, Elliot Tasker and colleagues from the Department of Geography and Environmental Management at UWE. Also, I am grateful to Veronica Strang (University of Durham), Jessica Hope (University of Bristol) and Alan Terry (UWE) for sharing insights and their ongoing research with me. Finally, I am very grateful for the support of the Newton Fund, the British Council, Concytec, Cienciactiva and Fondecyt, which made this great experience possible.